If you don’t want to go to the gym to perform the cross-train and cardio exercises, buying the best home elliptical is the best option for you. It is the most comfortable way of getting fit and healthy. An elliptical workout is friendly to your joints because the device pedals continuously support the user’s feet. It also provides smooth low-impact than what you experience if you do some hiking and running. To help you out on choosing the best elliptical for home use, we have created this review. The best home elliptical can accommodate 18 to 20 inches’ stride and has an impressive resistance system. Home ellipticals also have power inclines so you can achieve multiple elliptical paths for proper training. This elliptical machine is another good brand when it comes to making your body fit and tone. The device provides you 20 magnetic resistance levels and offers 20 various incline settings to make sure your workout is always fun and challenging. The unit uses a heavy duty 23 lb. flywheel and a precision drive system to make sure you will have a quiet and smooth workout experience. The AFG Sports 5.9AE is designed according to the broad biometric research to make sure it provides optimum comfort and prevent discomfort or pain in the knees, ankles, or hips. It offers 43 workout programs, which include calories, weight loss, interval programs, distance, and manual to provide you with a wide variety of workout options. You can change the setting of the unit with the use of the console. It has multiple LED and large LCD to display your workout data and help you monitor your progress. The machine offers Bluetooth wireless connectivity. It has a wireless heart rate chest strap to assist you in tracking the heart rate. The machine has a 20-inch stride length that fit all sizes and offers firm footing. It provides 20 magnetic resistance level to make sure your workout remains exciting and challenging all the time. The trainer has 43 workout programs to provide the users a wide range of workout options. Pros: Wider stride length, oversized foot pedals and soft handlebars, 20 magnetic resistance levels with 20 various incline settings, 43 individual workout programs, heart rate tracker, built-in speakers. 3-year warranty on parts, lifetime warranty on the frame, and one-year labor warranty. Cons: Fixed stride of 20 inches uncomfortable for shorter people. Schwinn 470 can cost as much as the most ellipticals, but it has lots of features that make it perfect for your home gym. It has 29 workouts presets, with the customizable program, and have four user profiles, so your family can save your workouts to use while exercising. You can attach this machine to the MyFitnessPal application and keep you on the track of your progress without the need to manually enter the information after every workout. This machine is a little bit lighter as compared to others, but it has a 20-pound flywheel, which helps produce a smoother motion as you use it. The device does not have lots of high-tech features, like the wireless internet connection or the cloud-base tracking of your workout, but it has built-in speakers, a cooling fan and gadget holder. The Sole E95 Elliptical Machine is developed to provide the users with the best performance and best level of ease. The machine is equipped with several exercises programs built-in, flexible stride and resistance, and different incline. It also accommodates heavy individuals that is available in a non-commercial device. It has unique articulating pedals, with worm drive to adapt to the natural stride. After consulting a physical therapist, the elliptical is a very comfortable workout machine. It likewise reduces the pressure on the knee and ankle joints as you exercise. This makes the device the best option for those who are suffering painful joints who prefer to improve their health and fitness, without making further damage. It has a solid frame and base to make sure that you have worry-free, safe, and supportive workouts. The programs include two user-defined. Monitor that measures around nine inches display workout stats with a bright blue blacklight. The monitor screen is easy to read, even in dark places. It can be angled to fit the exerciser’s height. The following stats on displayed are the calories burned, level, watts, pulse, time, and speed. It also has heart monitoring system. This is a comfortable machine that comes with several features. Like other ellipticals, it also has flywheel weight and long stride which makes it stand out from the others. The Sole E95 has a front drive treadmill. But, the E35 with 29 pounds’ flywheel is much heavier and has more natural flow particularly at high speed and resistance. The machine weighs 29 pounds. Each food pad is adjustable to make sure that it moves at the best angle for you. It is helpful in getting rid the strain on the joints. The pad is 15 inches, so there is no problem in fitting your feet in. The stride length for both models features an adjustable 20 to 22 inches. This is recommended for most people. If you are 6 feet tall, you can consider a bit longer stride of 22 inches. The 20 inches combines heavy flywheel and smooth elliptical motion. The Sole E35 Elliptical Machine lets you adjust the incline from zero to thirty degrees. 20 resistance levels are allowing you to cool down and warm up properly. The slope angle and the power levels can be adjusted without taking the hands off via two ergonomically buttons on the bars. The heart rate can be read via sensors built into the handlebars, you can use the chest strap that is included in the package. If you are using heart rate monitors the elliptical can be operated in the heart rate mode. The Nordic Track C 7.5 is programmed with 26 workouts. Each program controls the elliptical resistance and incline. The progress of your workout is displayed on a 5 inches LCD with backlighting. For unlimited exercise, the C 7.5 elliptical is iFit-enabled. With the use of the iFit, you can cover the 5 inches’ screen using your tablet to show high-definition video workouts, download unlimited professional training programs, and using interactive Google Maps workouts. It uses advanced stat tracking and other benefits. The NordicTrack C 7.5 is compatible with iPods as well as MP3 players. The first control center for accessing your MP3 is a 5 inches screen with backlight. You can check out 26 built-in workouts and get your playlist. The other control center is your tablet. It will help you monitor your exercise in this elliptical. It has 20 inches stride, and it will shorten if you increase the incline. The Nordic flywheel weighs 20 lbs. which is impressive for an affordable elliptical drive. You can choose from the 22 resistance levels. There are lots of factors that you can consider in choosing the best elliptical machines for home use. Some of the things that you need to check out before buying include the essential features and your purpose of buying one. If your goal in buying is to ensure that you will not skip your daily workout, you can settle for the less expensive one. However, if you need a more extensive exercise at home, then you should choose the one that is complete with everything that you need. To make it easier for you, read reviews and focus on features that you are interested in. It is best to compare and contrast different features of machines as well as the cost and design. 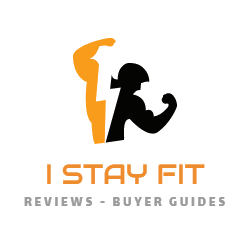 We hope this review is able to help you decide which is the best home elliptical for you that will help achieve your fitness goals.